I did some digging around and it appears that the wifi driver shipped with both webOS and with the Android are GPL, there are multiple evidences of that including the driver licensing string. Plus the driver is linked against 10+ GPLONLy kernel symbols which makes it kernel derivative. HP is still investigating this matter and we hope to hear from them soon. Green goes on to explain that the kernel appears to be a separate development from the Touchpad's WebOS kernel, with comments in the code suggesting that the kernels were developed by two separate teams. 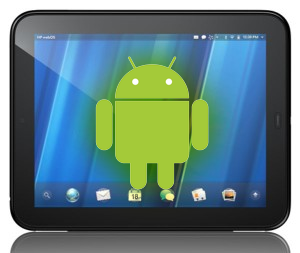 At any rate, the release of this code will certainly spice things up in the Touchpad's Android development community. Green has already indicated that bits of the code will probably make their way into CyanogenMod 9 for the Touchpad. For more information (and download links), check out Green's original post here.